Need a record of your transactions or categories? Export your budget data! 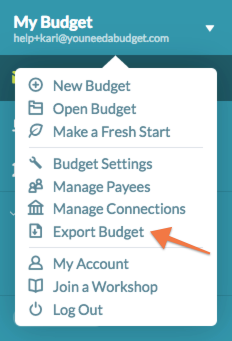 Click the name of your budget in the top-left corner. Looking for another format? Try exporting a report instead!